The Dean ML Select Quilt FR Electric Guitar is here! Designed by professional musicians for professional musicians without breaking the bank. These Select Series models feature Satin Necks for ease of playing and endurance. Mahogany Bodies with 3pc mahogany necks. 22 jumbo fret Ebony Fingerboards. Easy access Set Through Construction, Beautiful Quilt top with matching headstock, and exclusive Seymour Duncan TB5 and APH-1 pickups in a zebra parchment finish and sand blasted pole pieces to set the look apart from the rest. 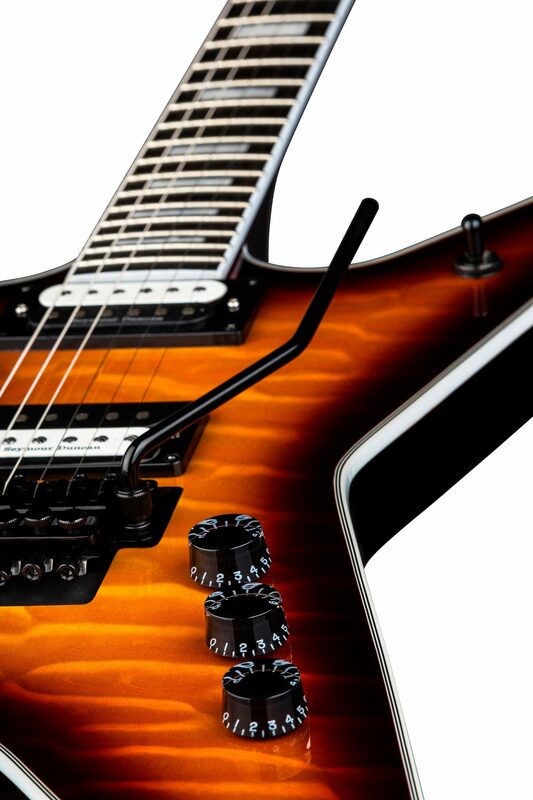 Floyd Rose 1000 series bridge system for tuning stability and dependability. 250K Audio taper pots for that smooth roll without destroying the tone. To top it off, 5ply Body and Headstock binding with single ply Neck Binding to add that extra splash of class.